Have a PAWsome New Year! Friday is Chinese New Year and we invite you to start the New Year with us as we celebrate the Year of the Dog during our monthly Late Night. 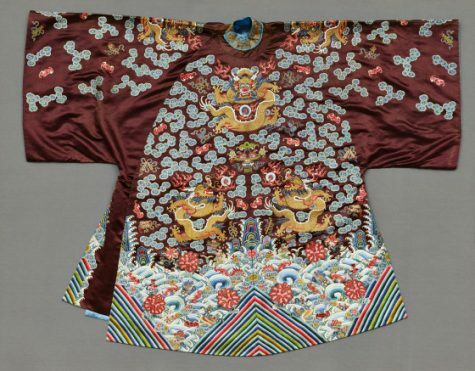 Throughout the night, you can experience lion dances, watch Chinese martial arts demonstrations, have your name written in Chinese calligraphy, and listen to traditional Chinese music in our galleries. There will be dog-themed tours, of course, but you can get a jump-start learning about the dogs in our collection with two previous blog posts here and here. 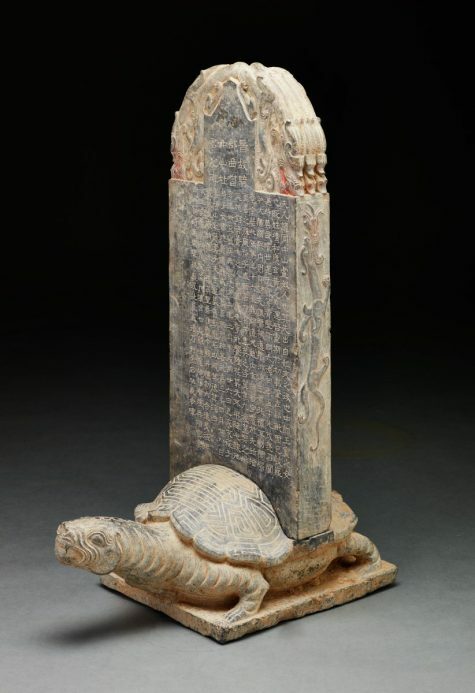 This tomb marker features two of the four “spiritually endowed” directional deities – the tortoise and the dragon. The other two deities are the phoenix and the unicorn. While not one of the animals represented in the Chinese zodiac, the tortoise is important in Chinse Buddhist belief because it symbolized longevity. 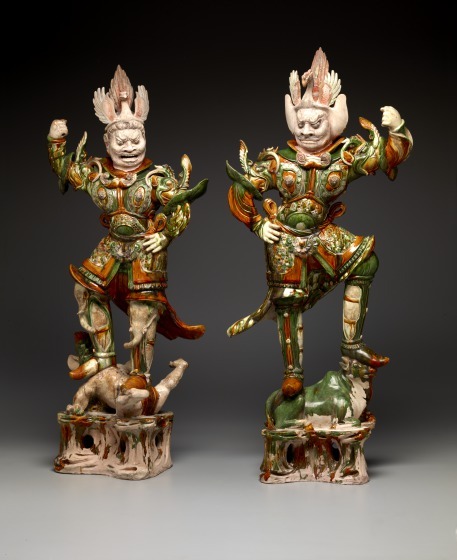 Learn more about these heavenly guardians, which often featured lions and tigers on their armor and showed triumph as guardians by balancing on the figure of a bull (or ox), on our 6:30 p.m. spotlight tour with DMA Teaching Specialist Jennifer Sheppard. 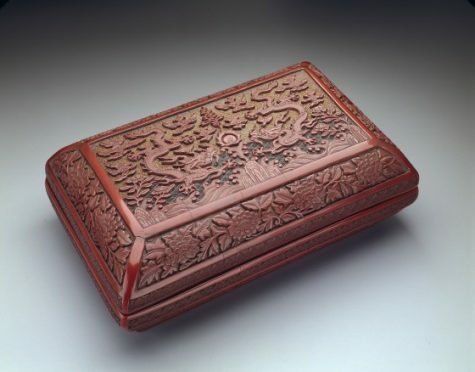 The cover of this box features two symmetrically opposed imperial five-clawed dragons chasing the flaming pearl of wisdom. 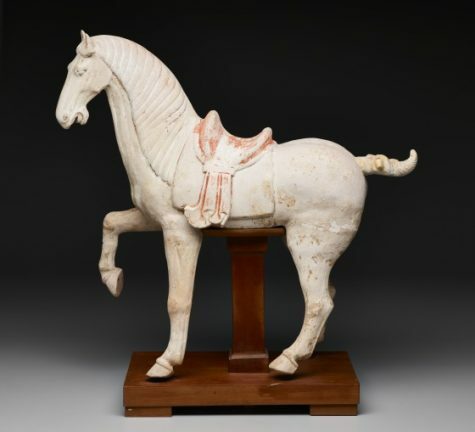 This horse is a mingqi or “spirit object” that was buried with the deceased in underground tombs. 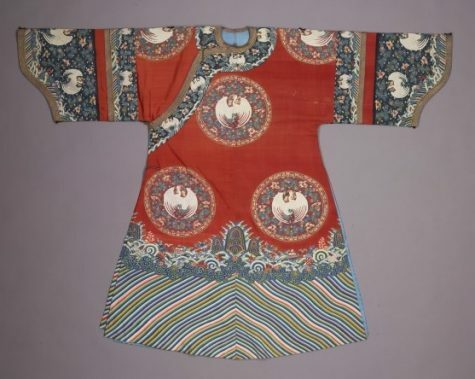 With the accession of the emperors of the Tang dynasty, the number of funerary objects placed in tombs increased, as funerary art became a means to display your wealth publically. So if January wasn’t all you thought it would be, start fresh this Friday and join us as we kick-off a PAWsome new year!